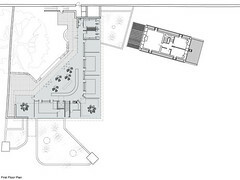 This project originally began as a design for two doctors' practices (a larger and a smaller practice) who wished to keep their identities and yet to share certain non-public facilities. 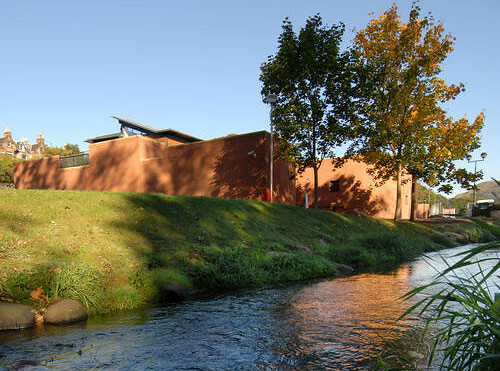 The design in a semi- wooded site and adjacent to a local river, the Braidburn, is also adjacent to Cameron Toll Shopping Centre and includes the site of Liberton Bank House, a derelict cottage which had become famous as the place where Conan Doyle had spent his summer holidays. 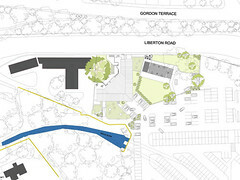 Its proposed demolition had already been the subject of a notorious planning battle. 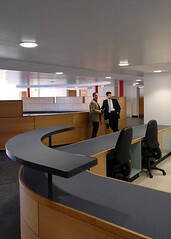 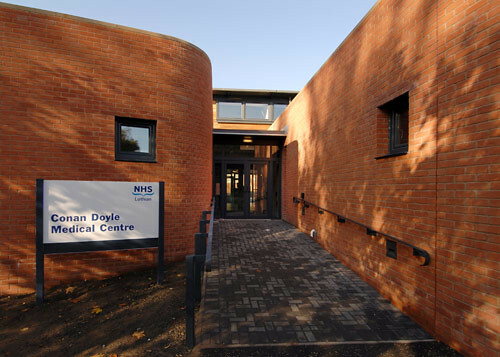 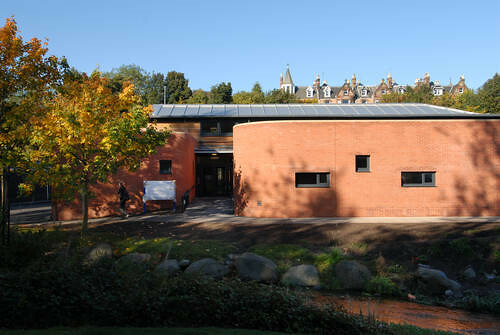 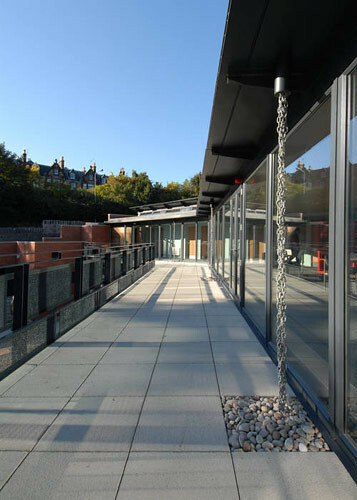 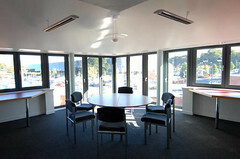 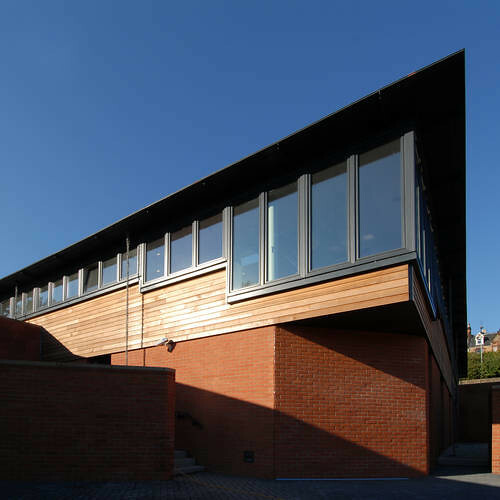 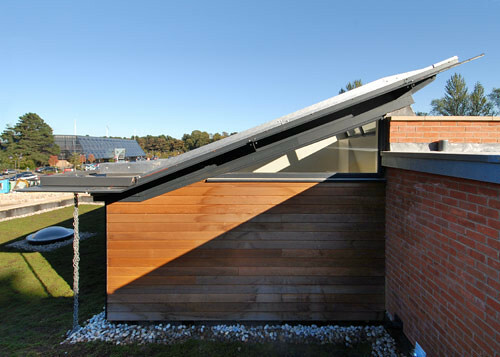 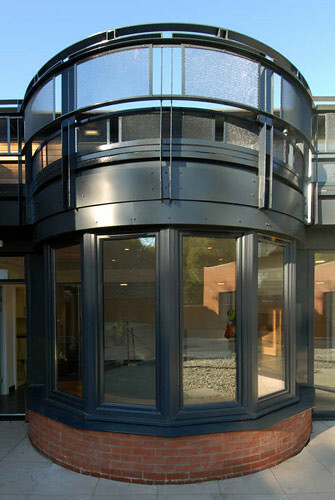 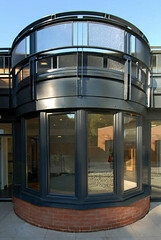 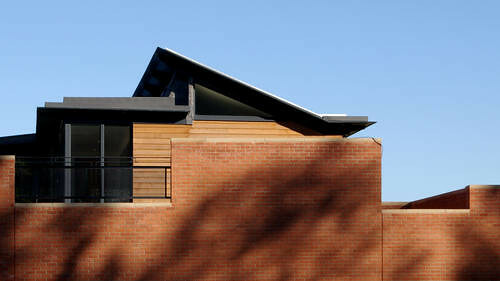 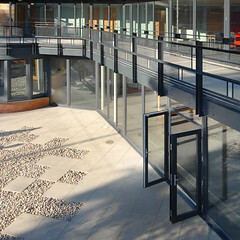 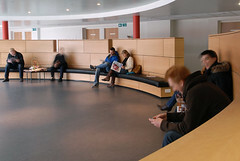 Eventually the project proceeded on the basis of one practice, being that currently located in Mayfield Road, Edinburgh. The plan revolves around an inner "secret garden" which contained an existing mature tree on the site (sadly this has had to be replaced). 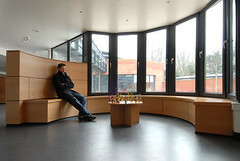 The waiting area focuses on this garden and all the doctors' surgeries revolve around it. 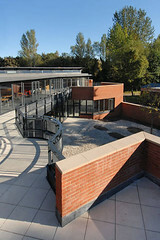 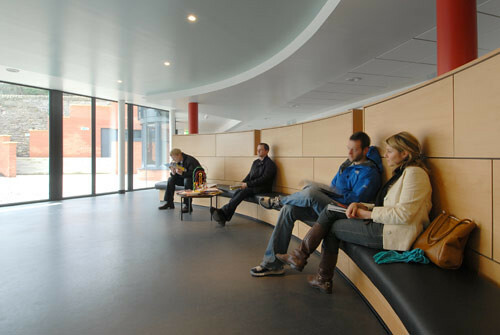 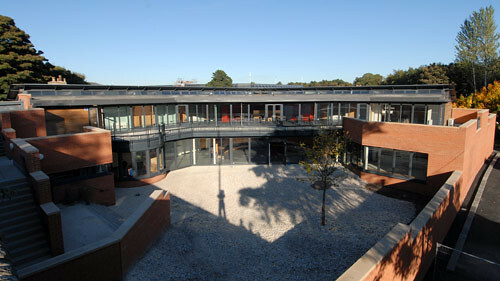 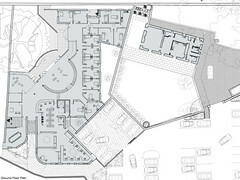 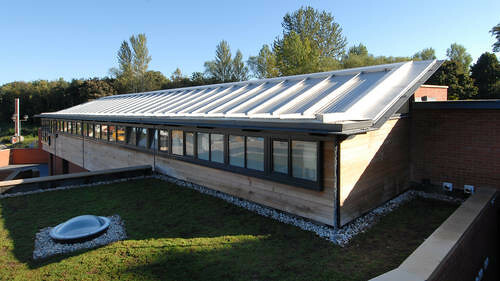 On the first floor are non-clinical facilities which themselves are organised on an L shape around a staff social area with a terrace overlooking the garden. Planning permission was granted in July 2004 and funding was eventually secured from the National Health Service. 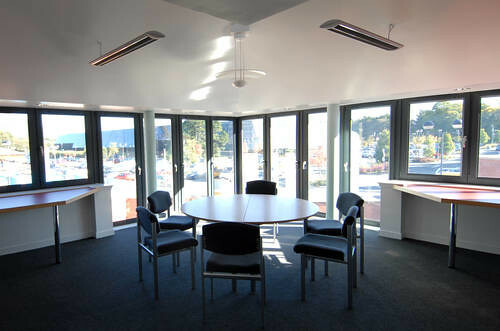 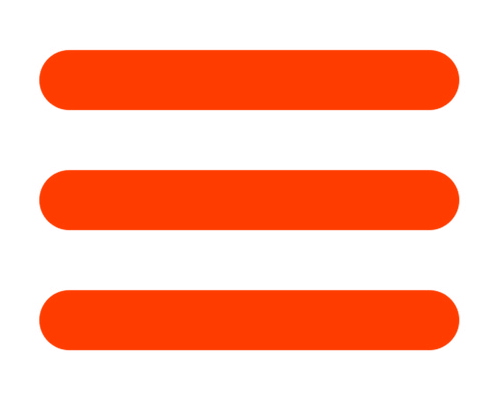 The client was Kilmartin developers who owned the site. The cottage next door was converted simultaneously by Nicholas Groves-Raines Architects for the Cockburn Conservation Trust acting on behalf of Dunedin Special School and the entire site was master planned by ourselves. Construction work started on site in August 2006 and was completed in October 2007.